Purchase the complete series and save 10% off the individual episode cost. The bringing of West African slaves to the Americas had a profound influence on the New World. 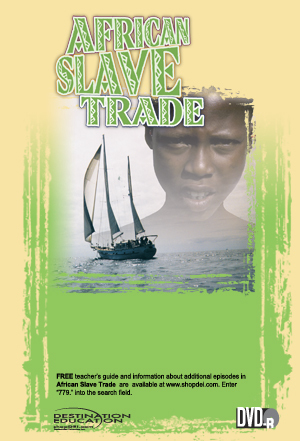 The slave trade took on different dimensions depending on the purpose for which the slaves were to be used. Captain Bill Pinkney explores the social and economic conditions in Africa that led up to the transatlantic slave trade, the slaves journey to the Americas and what they found when they arrived at three different locations...Brazil, South Carolina and Montreal Canada. Produced on location in Africa and the Americas, Captain Pinkney brings the unique vision of a Black sea captain tracing the paths taken by his ancestors.